In This Moment is a month away from unleashing a new studio album, “Ritual,” and the band is already hitting the road hard to get fans pumped for the upcoming release. The Maria Brink-fronted outfit performed Monday (June 19) at Soaring Eagle Casino & Resort in Mount Pleasant, Michigan, opening for fellow metal act Avenged Sevenfold. The fiery show also kicked off In This Moment’s summer 2017 tour roster. Fearless, dramatic and sharply musical are apt descriptors for In This Moment. 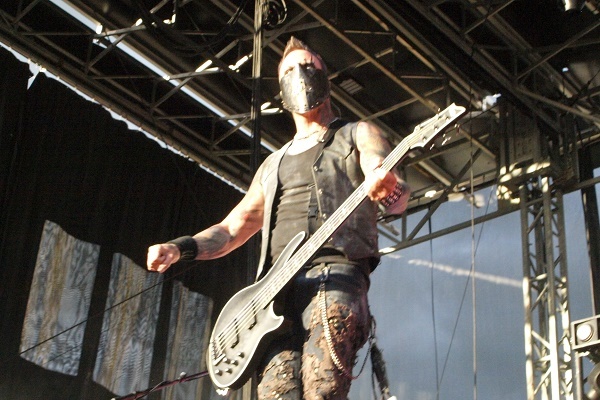 The group formed in the mid-2000s in Los Angeles, and while they have evolved over time, In This Moment has always stayed true to a melodious metal-core roots and goth-metal character. Live, In This Moment is a standout in the modern metal world when it comes to theatrics. At the show, Brink had multiple wardrobe changes, each new costume reflecting the character of each new song. Brink also mixed in choreography with a handful of costumed dancers as she belted out vocals. 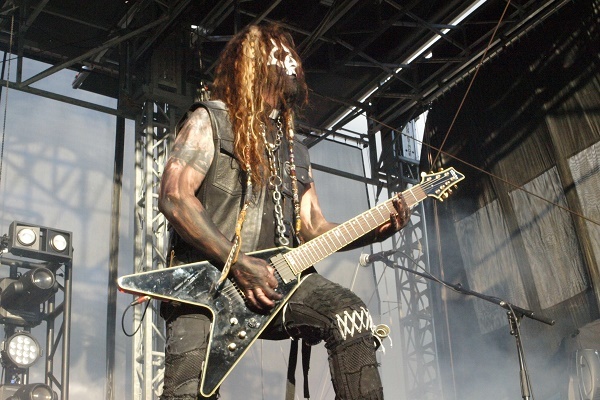 The band – guitarist Chris Howorth, bass player Travis Johnson, guitarist Randy Weitzel and drummer Tom Hane – marched triumphantly across the stage as they shredded and laid down rhythms. Musically, the set list featured a mix of In This Moment’s wildly rock radio hits and brand new tracks off the upcoming “Ritual” album. What was extra exciting for fans was that the band performed a new song off “Ritual” called “Black Wedding,” which on the album features guest vocals from Rob Halford of Judas Priest. Other tracks at the show included “Blood,” “Adrenalize,” “Black Widow,” “Oh Lord” and more. Michigan metal fans seemed to instantly take to In This Moment’s music and dramatic stage show, and with the new album on the way, that’s a good sign the band return to the Mitten before too long. In This Moment’s current summer tour will wrap up Aug. 5 with a gig in Lincoln, Nebraska. View photos from the Michigan concert here.